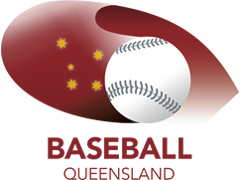 Indians Baseball Club is looking for Australia's future baseball stars, coaches and officials in all age groups from T-Ball (U8) through to Masters (35+). Baseball is a safe, fast, non-contact team sport for boys and girls, men and women. No prior experience is required. Indians Baseball Club prides itself on being a multicultural, community driven and family orientated club. With nationally accredited coaches and four dedicated baseball fields. We will be hosting come and try days and Sign on around July and into August. Please refer to our home page and Facebook for details. Bring your friends and family along and join in some baseball activities! For detailed information about the fee structure further information on fees is listed below. Can't make Sign On Day?? No Problem..
Thursday 6-8 pm (Senior League and U/20’s). A: Junior Baseball runs during Term 4 and Term 1 of the school year. The first regular season Junior Game dates will be announced when the GBL finalises fixtures. These are generally early in October. Senior Baseball commences in October and runs through to March, with a short break during Christmas. Games are played on a Sunday morning. Q: What days are practice? A: Junior training is traditionally on a Tuesday afternoon from 4pm, but the day and time will be confirmed once the teams are formed. Senior training will begin on Sundays and move to midweek during the season. Q: Are game days always the same (ie. Saturdays for Juniors, Sundays for Seniors)? A: For the most part yes. However there may be the odd occasion where teams play mid week games under lights. Players and parents are notified well in advance if game days are changed. I would like some more information about ........ Who can I speak to? The Secretary will be able to answer most of your questions and can be contacted via email: secretary@indians.org.au.